Get Your License Back with SR22 Texas Insurance! If you've had your license suspended, you may be able to purchase an SR22 Texas Certificate of Insurance to reclaim your driver license. Our site is full of SR22 Texas insurance information that you can use to help get back on the road. 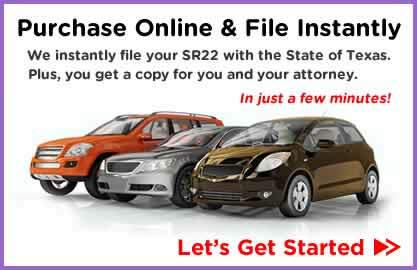 If know you need an SR22 policy and you're ready to purchase one, start with a Free SR22 Insurance Quote. Did You Know? Most drivers qualify for what's known as a Non-Owner SR22 Texas policy. Going this route can save you a lot of money and get you back on the road in very little time. Spartan Insurance has been providing insurance to Texans for nearly 40 years. We're leaders in SR22 Insurance and have trained insurance specialists ready to field any questions you might have. Chat with an SR22 Specialist now!